Most interestingly is that Samsung has not attached a name to this device yet. Hopefully Samsung isn't going the Apple route and removing any significant identifying information from their product names. 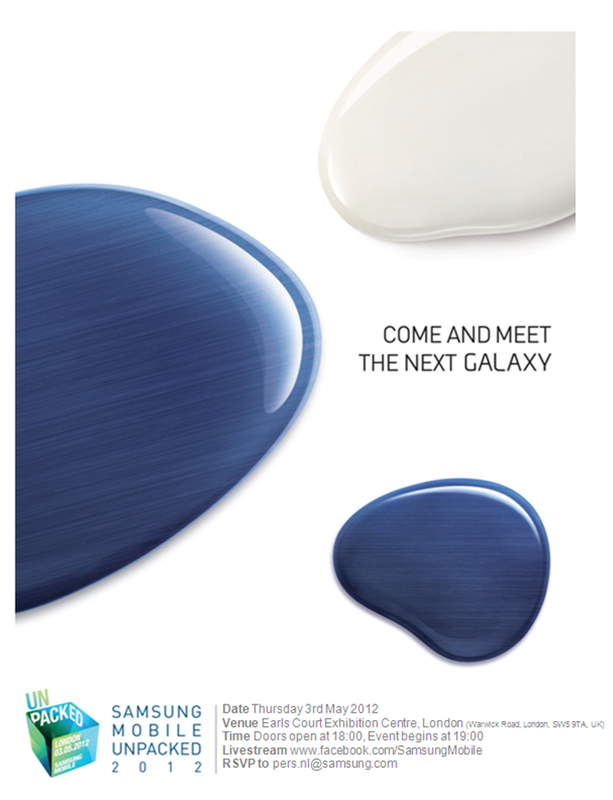 The "new Galaxy S" is the last thing we need in Samsung's convoluted naming schemes. In any case, May 3rd is just seventeen days away, so we won't have to wait long to see what we'll be calling this device. And as if that wasn't enough, @SamsungMobile just tweeted this same image to super extra double confirm that this is totally legit.